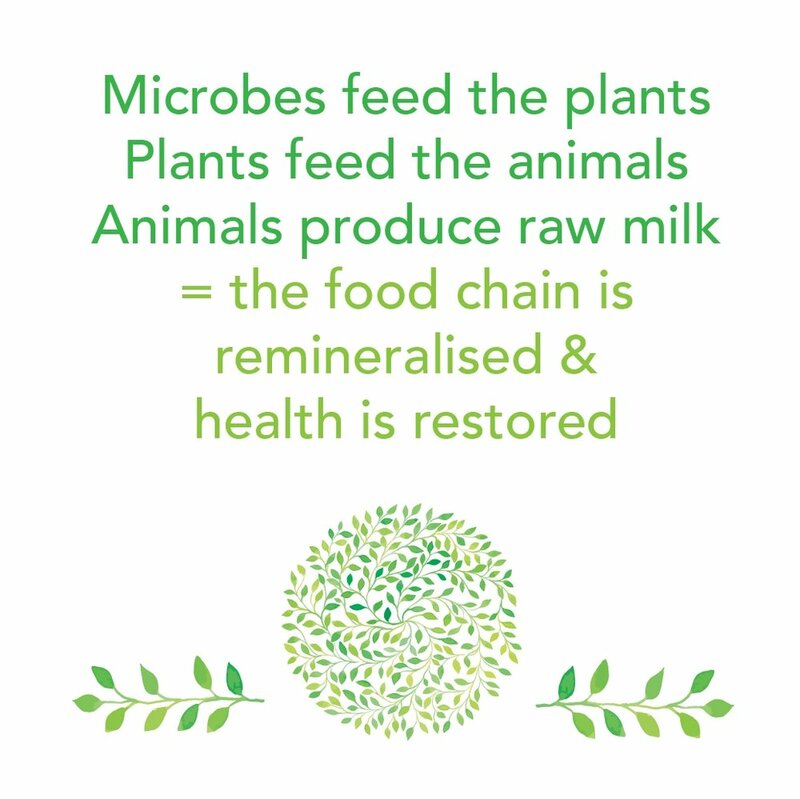 The raw milk movement has learnt many lessons in the last few years. One of the most valuable is that there can be a huge difference between producing raw milk meant for human consumption and producing raw milk meant for pasteurisation. What is normal for the industrial dairy industry cannot automatically be accepted as normal for raw drinking milk (RDM) production. There are too many risks attached. The food safety of RDM can be increased via biological farming systems that encourage large amounts of beneficial bacteria and discourages pathogens. Grass and hay is appropriate food for cows. If the cow's digestive system supports the right kind of microbes they can eat small amounts of grain without problems. Chemical-free works best for raw milk systems. That means no pesticides, herbicides, synthetic fertilisers etc. This also means that feed like grain is best sourced from chemical-free systems. 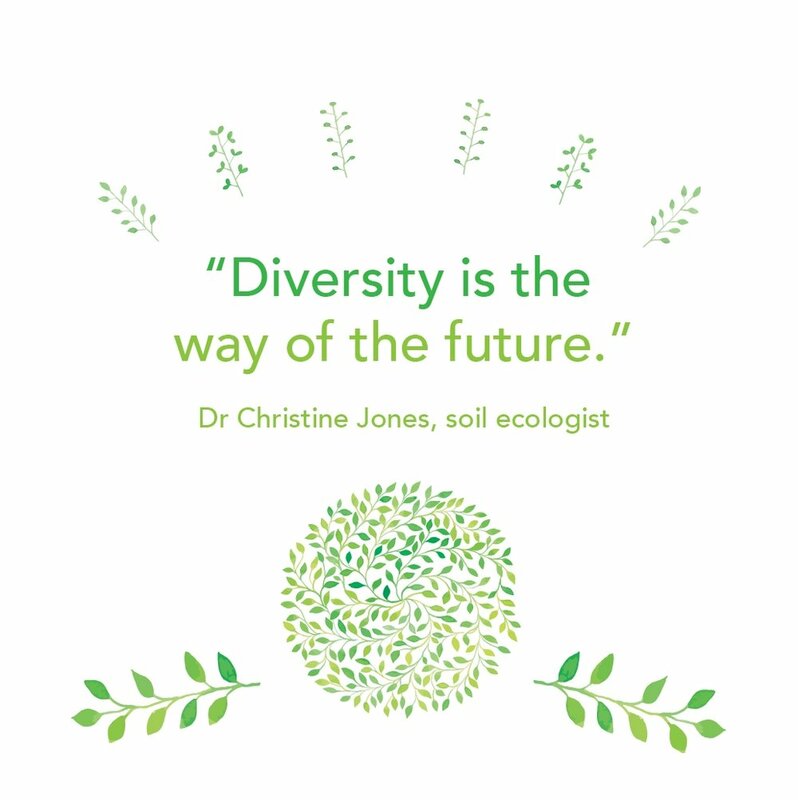 Diversity in the grassland is the way of the future. 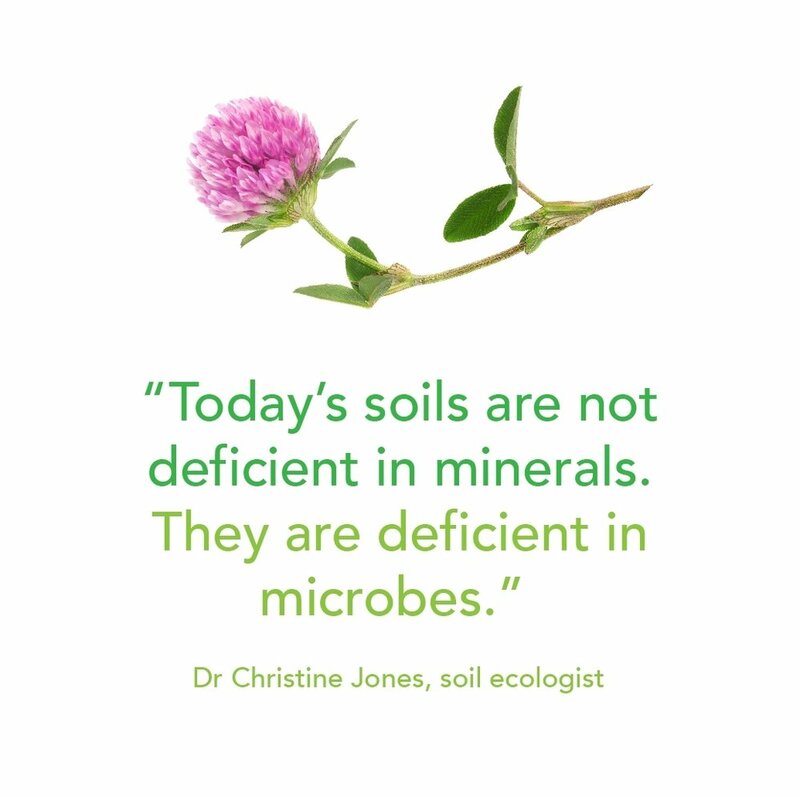 Diversity of plants, herbs and grasses are essential because it enables more carbon sequestration and more minerals to be taken up in the plants. 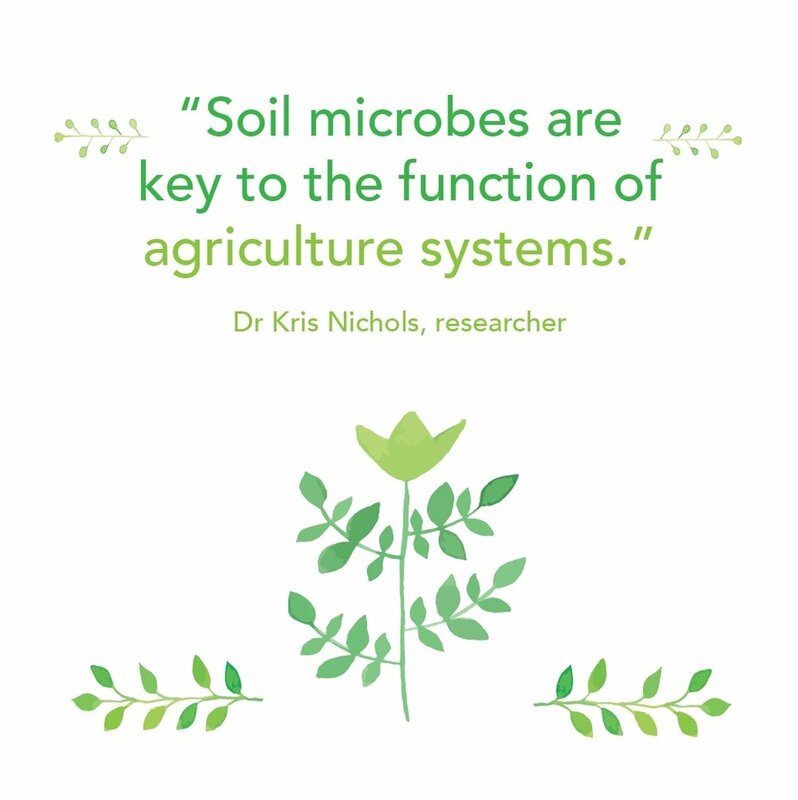 Biological farming enables this because "microbes within soil improve the ability of plants to absorb nutrients and resist drought, disease, and pests". Some paddocks may provide forage year round because they'll be more resilient. No-till systems allows roots to grow deeper accessing more minerals to increase the health of the plants and then the animals. 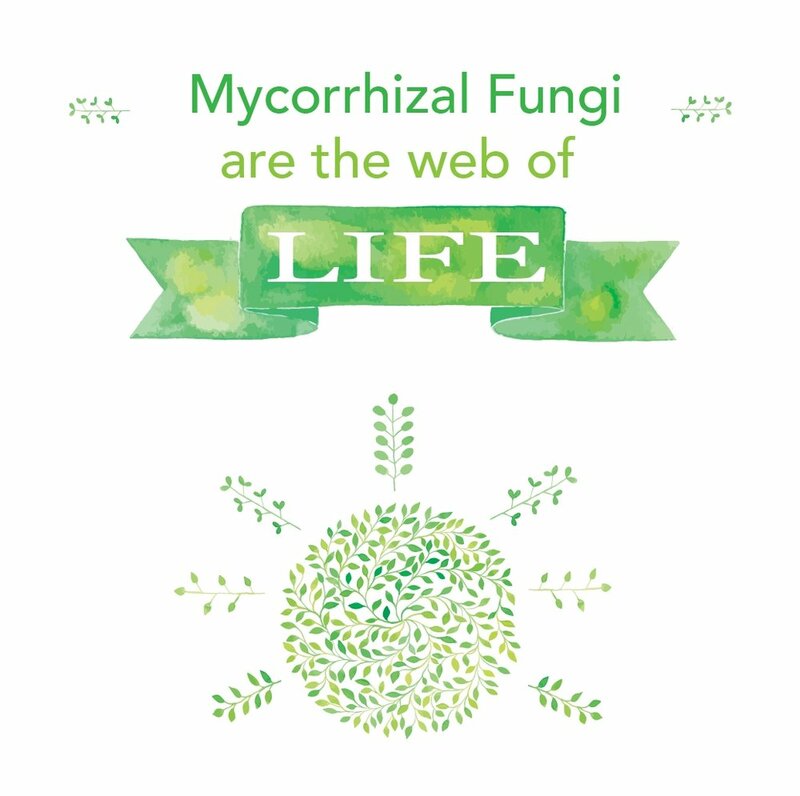 Animals enjoy increased health and more resistance to disease and bacterial infections when there is plenty of minerals in the plants, grass and grain that they consume. Agrochemicals like herbicides and synthetic fertilisers can kill or alter life in the soil. Microbes become a problem when they are stressed with the prospect of dying. They can become anti-biotic resistant and create huge problems for mankind. Inorganic nitrogen fertiliser over-use can lead to a reduced uptake of minerals and trace elements in plants, which has a negative flow-on effect for animal and human health. It can also lead to higher vet bills and need for more chemicals because nitrogen grows more weeds. Regenerative farming systems can provide greater ecosystem services and profitability for farmers. It also produces nutrient-dense food that is in high demand with consumers. 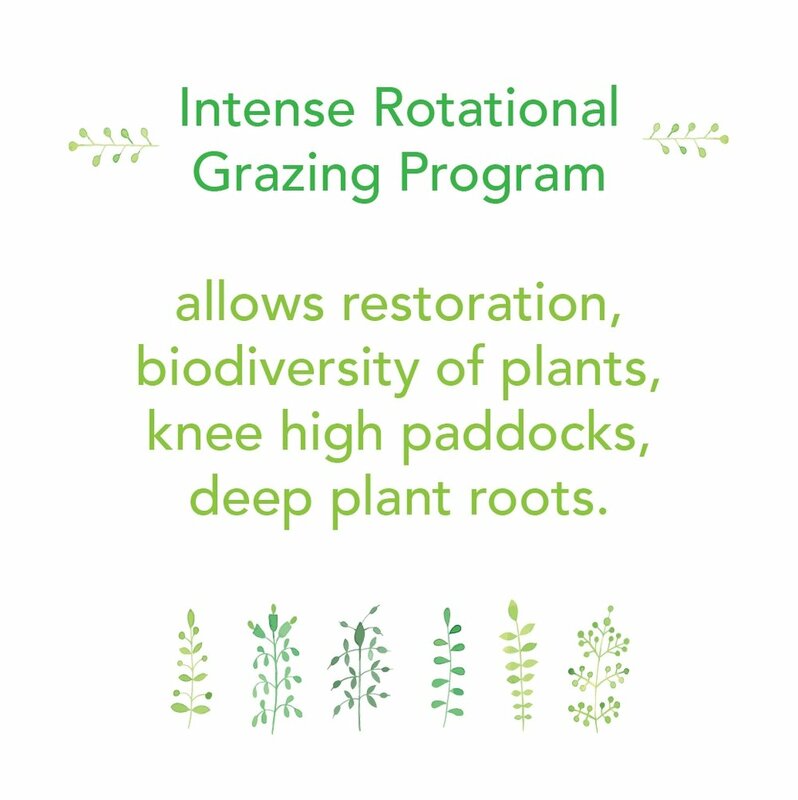 Planned or intense rotational grazing is essential. It can enable the growth of knee-high fresh pastures, avoid overgrazing and allow soil to rest and restore properly. It also reduces the risk of animals overgrazing on their favourite plants and killing off diversity. 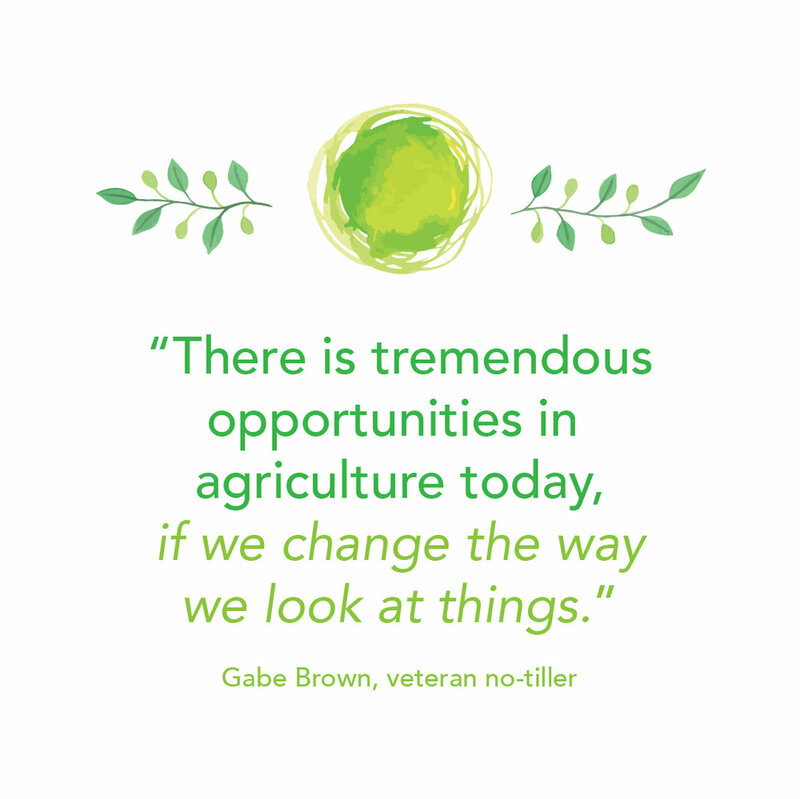 When farmers grow their own forage (and grain) it reduces issues around traceability and food safety of feed. In our now global food system traceability, accountability and integrity can disappear. Nutritious feed require a tremendous amount of soil fertility. Mineral rich feed may increase the health of cows and give them increased immunity to bacterial infections like Johne's disease, Bovine Tuberculosis, Brucellosis, Q-fever and perhaps even Mycoplasma Bovis. 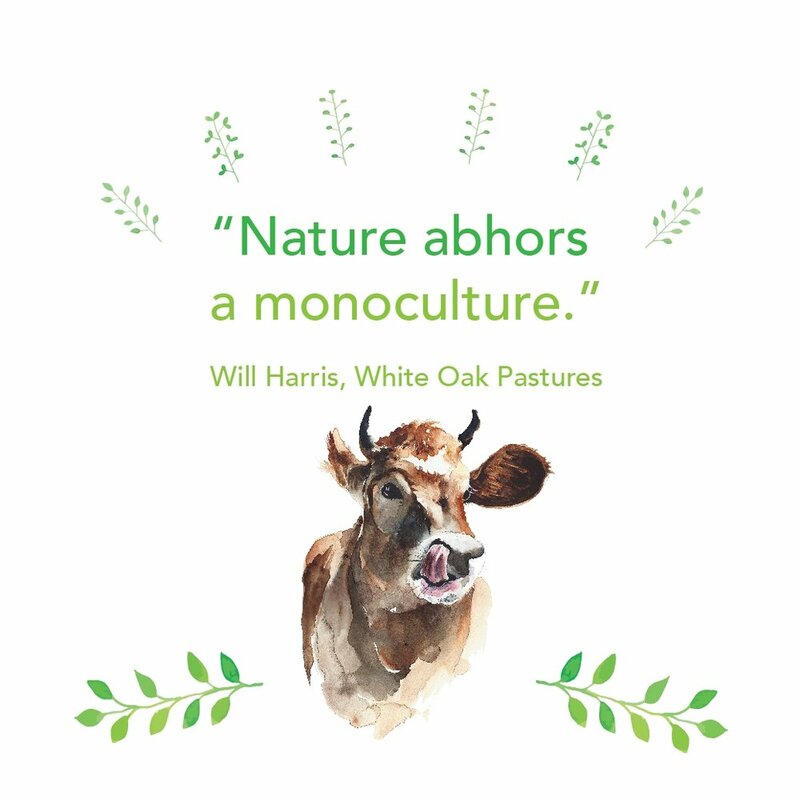 Naturally remineralised pasture in a biological system can reduce the need to supplement minerals and other trace elements artificially. Grains are high in omega-6 where grass is high in omega-3. Too much omega-6 in the diet can pose health risks. Many consumers ask for 100% grass-fed raw milk. There are benefits in keeping a separate herd for RDM and implementing policies for biosecurity measures on the farm. Thanks to educational measures from the Raw Milk Institute many raw milk producers now understand that testing of milk is essential, not optional. Feeding brewers grain and distillers grain to cattle increases the likelihood for the dangerous E.coli O157:H7 to grow in the gut and show up in their manure. When the wrong kind of microbes start to dominate in shows up in the milk quality. This is an unacceptable risk for RDM systems. Feeding silage to cows has many recognised risks. Moulds can produce mycotoxins and can pave the way for other potentially pathogenic organisms. Feeding silage is linked to an increased risk for Listeria monocytogenes in the milk. Grain-based mixed feeds have many hazards such as bacteria, yeasts, toxins that may be introduced through feed ingredients. It can also be contaminated during production, handling and storage. The ingredients for these feeds are often sourced from different places or even countries. Traceability, accountability and integrity can disappear. Feeding mouldy grains to cows can have a myriad of risks and toxic effects that can be slowly cumulative over a long period of time. The symptoms may not be immediately apparent. Feeding too much grain to cows can create acid resistant E.coli in their gut that may shed in the manure or may end up in milk. This means that if a human consumes an acid resistant E.coli it can pass through the stomach acid into the intestines where it can cause disease. Soy as feed for cows pose some risks that can be seen as unacceptable for RDM production. Cows in industrial systems receive all sorts of unsellable products form the food manufacturing industry. These are not suitable for RDM production. ARMM still advocates for a regulated raw drinking milk system. Australia knows a lot about industrial dairy, but not about producing raw milk for human consumption in a regulated system. Some may be in denial about the measures that have to be taken. Or they may simply have no comprehension of how huge the difference between the two systems can be. These producers will have to be regulated to do the right thing, because they may not be willing to do it voluntarily. 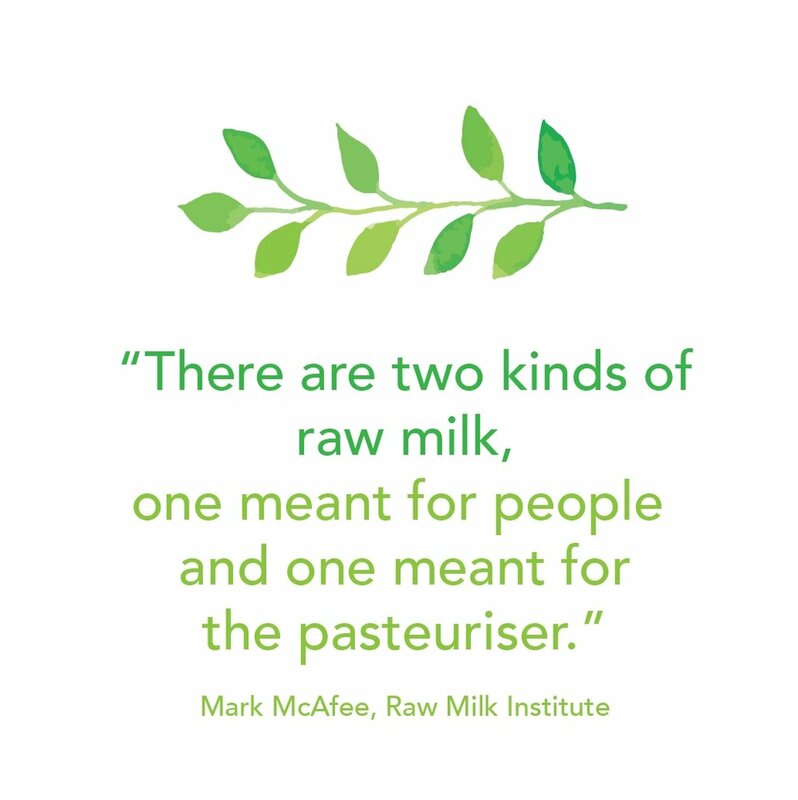 Thanks to many pioneers in the raw milk movement we can now enjoy having more knowledge and examples that RDM can be done well when people have the appropriate understanding about the anatomy of raw drinking milk systems. Many countries like England and Wales, New Zealand, Northern Ireland and US states like California and Washington show that appropriate regulation can bring about functioning raw milk systems that benefit consumers and farmers and allays the fears of authorities. Both New Zealand and the United Kingdom are currently reviewing their raw milk systems. We look forward to seeing what improvements they have made thanks to the experience of the last few years. 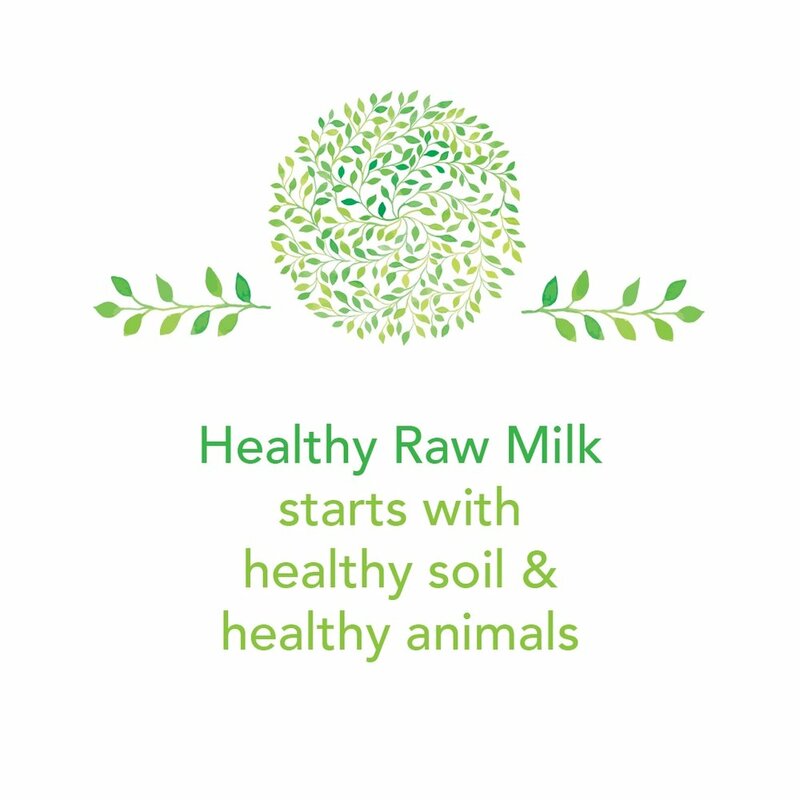 For an in depth exploration on the information above, please carefully read all 11 risk categories of the Raw Milk Risk Identification and Risk Reduction Program.